Daniel Münich is an associate professor at CERGE-EI [Centre for Economic Research and Graduate Education – Economics Institute, Prague] and has been a docent at CERGE [Centre for Economic Research and Graduate Education], Charles University, Prague since 2006 and a Researcher at the Economics Institute of the Academy of Sciences of the Czech Republic (EI) since 1998. Daniel Münich has also previously worked in a number of other positions at CERGE-EI and as an economical advisor. 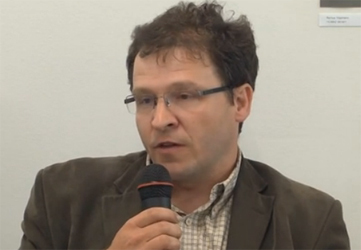 Since 2010, he has sat on the National Economic Board of the Czech Government [Národní Ekonomická Rada Vlády] and since 2006 he has been a member of the European Association of Labour Economists. Academically, Daniel focuses on labour economics, the economics of education and schooling and bibliometric analyses.